Lyndhurst - Blayney Shire Local & Family History Group Inc.
Land was reserved for a village in the Parish of Lyndhurst during its survey. Nearby landowner was Thomas Icely Sr. who purchased 640 acres in 1834, and soon owned the majority of land around what became the village. Early in 1861 a new township was announced to be called “Lyndhurst” at the crossing point of the Grubbenbun Creek, taking its name from the Parish. Lyndhurst’s fortunes were already rising with the discovery of gold at Junction Reefs in the early 1850s. An 1872 Post Office directory listed miners, blacksmiths, innkeepers and a storekeeper among its residents. 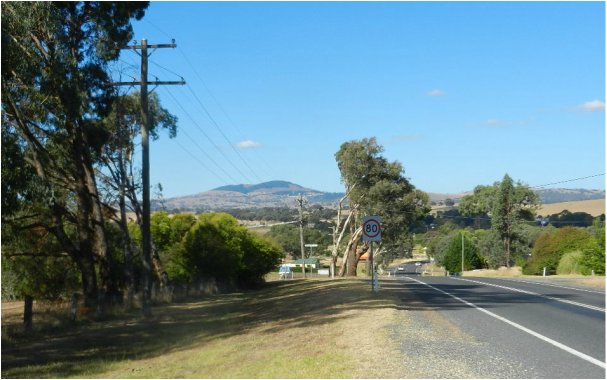 The construction of the Blayney-Demondrille rail line had a significant impact on Lyndhurst’s future. A railway station was opened early in 1888, and later that year a school. Other institutions followed. The village’s two churches were of the Church of England and Roman Catholic persuasion. Lyndhurst was one of the proposed sites put forward for a national capital after Federation.